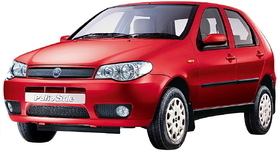 The Palio is Fiat's top-selling model in Brazil. TURIN -- For the first time in its 111-year history, Fiat S.p.A.'s No. 1 market is not Italy. Brazil passed Fiat's home market to claim the top spot in 2009. Last year, Fiat Group Automobiles sold nearly 750,000 passenger cars and light commercial vehicles in Brazil, up 12.6 percent from 666,000 units in 2008. The company's sales in Italy grew just 0.5 percent to 722,000 units, Fiat said Monday while announcing its full-year results. Fiat CEO Sergio Marchionne said Brazil will likely remain the company's top market this year. He expects the Brazilian market to grow by 2 percent to 3 percent while Italy will slump by 5 percent if scrapping incentives are continued and by 20 percent without incentives. Fiat was Brazil's No. 1 automaker by volume last year with sales of 749,637 new cars and light commercial vehicles, compared with No. 2 Volkswagen AG at 695,395 and No. 3 General Motors Co. at 610,836, according to ANFAVEA, the Brazilian automakers association. Fiat has been No. 1 in Brazil for eight years in a row. Fiat has spent the last two decades building up a market-leading presence in Brazil. Now the automaker is benefiting from robust consumer demand among Brazil's expanding middle class. Last year, Fiat and rivals GM and VW also benefited from Brazilian government tax cuts on new-car sales. Brazil's car and LCV sales rose 12.7 percent to a record of more than 3 million in 2009, according to Fenabrave, Brazil's national dealership association. Brazil's passenger-car sales increased 12.6 percent to 2.52 million while LCV sales climbed 12.3 percent to 489,900. By comparison, even with government-supported scrapping incentives Italy's passenger-car sales declined 0.2 percent to 2.16 million. LCV sales fell 21.4 percent to 181,100.